Italy Web Convention Bureau is a semi-official impartial and free to use online platform aimed at promoting Italian conference hotels, conference centers, conference resorts etc. putting you in direct contact with properties, PCOs,DMCs,providers and suppliers.Using Italy Web Convention Bureau does not increase your costs. There is NO COST or OBLIGATION to planners. Together with Imex Frankfurt Ibtm World is the most important Hosted Buyer Program in Europe. 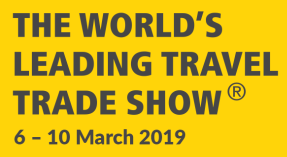 TTG Travel Experience - October 10,2018 - come & see international operators and venues. Starting from March 2018 when you are in Milan Malpensa Airport - MXP - you can choose between 10 new destinations by direct bus: Aosta, Torino and Novara in the north-west of Italy - Verona, Padua and Venice in the north_east - Genoa, Savona and Ventimiglia in Liguria. More than 100 ailines leave MXP every year, going to 200 destinations worldwide. 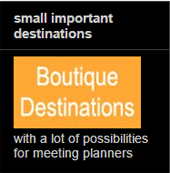 Are you a Businnes Travel Agent? 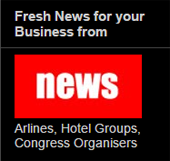 Italy Web Convention Bureau is a semi-official impartial and free to use online platform aimed at promoting Italian conference hotels, conference centers, conference resorts DMCs, PCOs and Providers. 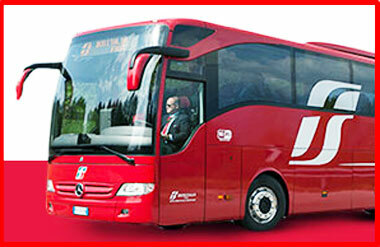 putting you in direct contact with them across Italy. You can even contact at the same time multiple venues and providers sending your own RFP.Beeing Italy Web Convention Bureau a non-profit, non-governmental Organization (NGO), sale remains between you and your counterpart (Without any COST or OBLIGATION to planners). all PCOs, DMCs, Incentive Houses, Special Venues, Conference Hotels, Convention Centers etc. http://www.webtaylor.it/. Awesome Inc. theme. Theme images by rajareddychadive. Powered by Blogger.